In today’s changing times, when the role of women is being redefined in the context of Indian families; new challenges confound them in these new roles. From being house-wives to an earning member of the family; from being a mother to sitting in important meetings; the Indian woman is showing a lot of confidence and potential. 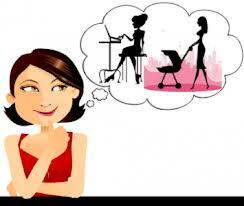 The balancing act of being a mother and a corporate woman is a much discussed topic. We hear of women who leave jobs when they start a family. We also hear stories of the likes of Indra Nooyis and Shikha Sharmas of the country. Today, I will talk about how the women in my book played such an important role in this transition our country is making and what makes the book, a must read for all the women out there. Before I get into describing the book, I will give some background of my own story. Being a child of a single parent was never easy. But my mother is an example of a lady who has stood the test of Indian society to make me what I am today. Despite society’s negativity, she has taught me to dream, to rise and to achieve so much. I owe this book to her and have shared my own experience in the book. When it comes to talking about some of the women in my book, the first name which comes to my mind is that of Vidya. Vidya is a women who did her MBA when she is carrying a life in her womb. Her story is extra-ordinarily tough and makes one bow to her determination and courage. Similar to her story is the story of Monali. Monali is the girl next door who loves her husband a lot. When the thought of doing an MBA comes in her mind, she is not sure of how much acceptance would it have in her husband’s eyes, how it would impact her married life. But what sets her story apart is how her husband supports her to follow her dream and how the two manage their long distance marital relationship during that one year. The dilemmas faced by Vidya and Monali are same as what every Indian women faces every day. Then of course, there is Shrishti. On one hand are her parents dreams of seeing her happily married, on the other are her career ambitions. While every Indian girl makes elaborate plans for her wedding and spends time lavishly shopping, day dreaming and on long late night calls, Shrishti gets engaged when she is pursuing her studies. She is a perfect picture of the balancing act and manages her personal relationships really well without compromising on her professional ambitions. When Raj decides to move back to India, Simran comes back to India with him. But she continues to work for a Canadian company, managing to work at night time in India for an entire year. Puja is another typical Indian women who though successful in her career always wishes she can find some more time for her daughter. Geet stands behind her father when her family is going through its toughest times. Her role is no important than that of a ‘son’ in the family. Pari pays for her ambitions by the loss of her loved one and regrets being so ambitious. Sonam faces the ire of her man’s mistrust and almost loses him over her MBA journey. But the good thing is her statement that she would rather lose a person who mistrusts her than be in an unhealthy relationship. Divya has no qualms of giving up on her own career for a good upbringing of her children and manages to find her happiness in them. These and many more women are characters in my book on real people. Their dreams, fears, successes and failures are some which every girl faces in some or the other stage of her life. Some stand behind their men to support them in their ambitions. For others, it is their man’s love which makes them take an unconventional route.